You are here: Home / Blog / October 26 – What a day! Just a short post today, friends. To me, though, it is a post that means so much. When I weighed myself this morning, I saw a lot of magic. 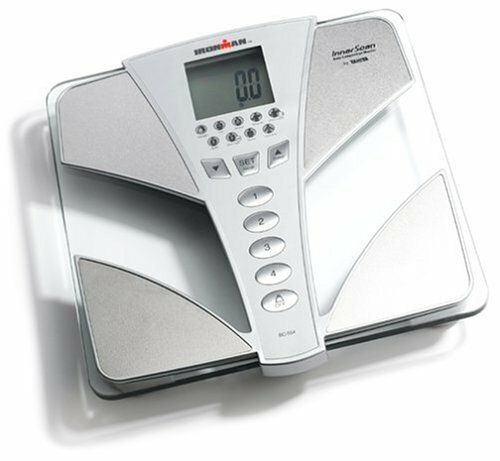 The scale read – 199.8 pounds. I do not ever remember seeing a weight starting with a “1” at the beginning. Of course, I did weight in at one hundred something at some point, but I don’t remember it. I probably would have been about 12 or 13 years old when was as last in the 100’s, now I am 56 and back int he 100’s again! It is an amazing feeling for me. This so awesome to me. I don’t even know how to react or what to say. October 26, coincidentally, is memorable to me for another reason as well, which makes my weight loss achievement special for another reason. Today is my wife’s birthday! She is in the air right now, traveling home to the Philippines, and I will see her at the airport tomorrow. To my wife, Feyma, babe, happy birthday! This is a big birthday for you, and I wish we were together to celebrate. But, tomorrow will be. My milestone of going under 200 lb is my gift to you. Being healthy is important to me so we can prolong our life together! You mean everything to me! Happy Birthday! Way to go Bob. Against all the odds and a lot of wrong Dr advice you have made a lifetime significant achievement. I am happy for you. Thank you so much, Loren! Yeah, it seems like most doctor advice is completely wrong, at least it proved to be for me! I want to lose another 35 or so, and I think I’m good then! What an amazing feeling! Well done Bob, what a wonderful achievement. Thank you so much, Marjorie! Yes, I intend to keep pushing forward! Do you know of anything published like that? So many Filipino foods are keto and readily available. Pork. Any high fat meat. Veggies that are grown above ground (no root viggies). Anything made with Coco nuts. Oils like olive oil or coconut oil. I find doing keto here very simple. Good luck, Ray. Thank you so much, Sisi! I appreciate it! Just to say i am living in Davao since July this year.Arrived at 11stone in weight now under 10 stone (sorry i am from England).Basically i eat more or less what i want in a 4 hour period, but ensure apart from drinks no other food until next day,same time.So say 12 to 4 or 1 to 5,whatever suits you.Difficult if you are working of course butbif not or retired so easyvand simple to do.When your body requires food after this time it uses excess fat already in system,works for me! Hi Mike! So, you are doing Intermittent Fasting, that works for me too! Congratulations! Thanks Bob,yes its amazing the weight loss in such a short time period.Trying to get my wife on it,she has just started,but trying in a 6 hour period.You know the problem Bob with eating and Filipinos,its traditional to eat many times.Difficult to resist the temptation of “lets eat” for her,but she is trying,bless her,nice talking to you,regards Mike. Hi Mike. My wife and 2 sons have all successfully adapted to a Ketogenic diet now. No rice, very low carb. I find that Filipinos can do it just like everybody else if they are motivated! It sounds like your wife is making a good effort! Good luck to both of you! Yes Bob,uyon ako kanimo,its the rice thats the difficult one,i said try to cut down at first and see how it goes.I eat lots of salad but very little rice,fish,chicken,i do soup with broccoli,carrots,potatoes etc and my son who is only 5 loves it as well.I still have a cake or biscuits with green tea so do not restrict myself too much,i just ensure the stomach is empty of food for 20 hours.I have a coffee in the evening,watch a film go to bed late get up around 10 a.m. and its only around 3 hours to food time.Might not suit everyone but its fine for me.I think people should just work out almost anything they like,the important thing is having that 20 hours with no food,if possible.If you take away your sleeping time its not really too long.Have a nice day Bob,just getting my Son ready for school now,regards Mike. Hi Bob,i meant i eat fish and chicken,didnt look right in phrasing on reading back! Cheers, Mike.